Timeless boulevard cruiser style fully-equipped for comfortable long distance touring. 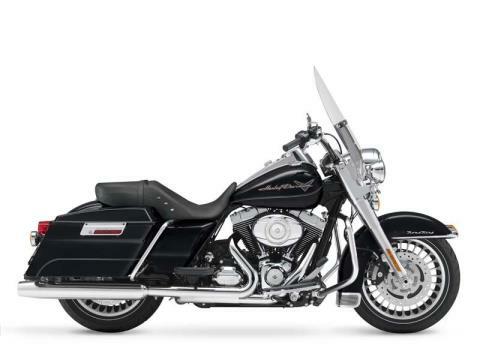 The 2013 Harley-Davidson® Road King® model FLHR is powered to perfection with the performance you need for Harley touring. For 2013, the touring Road King model comes in a limited, serialized 110th Anniversary Special Edition, featuring exclusive commemorative anniversary styling elements and premium features that make it a top-of-the-line model and a true work of living art, with finely forged finishes that age and transform in a manner unique to each vehicle. 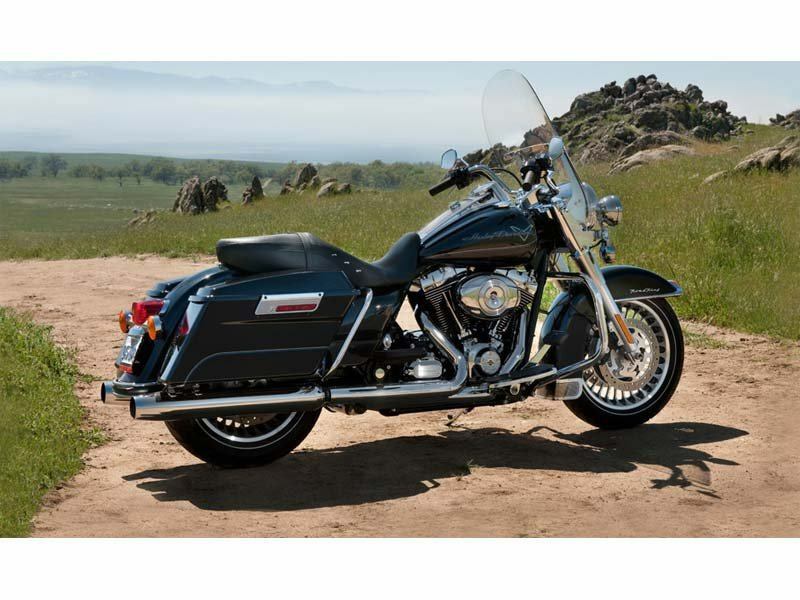 The Harley® Road King features a powerful air-cooled Twin Cam 103™ Harley engine with 6-speed Cruise Drive® transmission, providing more performance power for passing, hill-climbing, and riding with passenger and luggage. 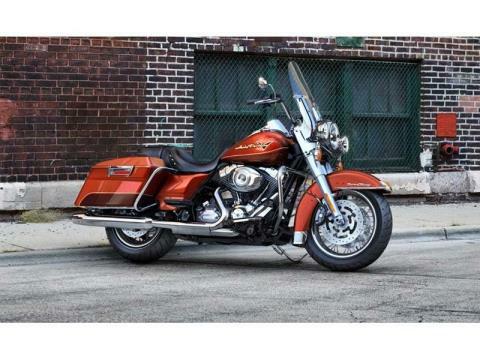 The H-D® Road King model FLHR has a classic Hiawatha headlamp that is a defining feature of this bike. 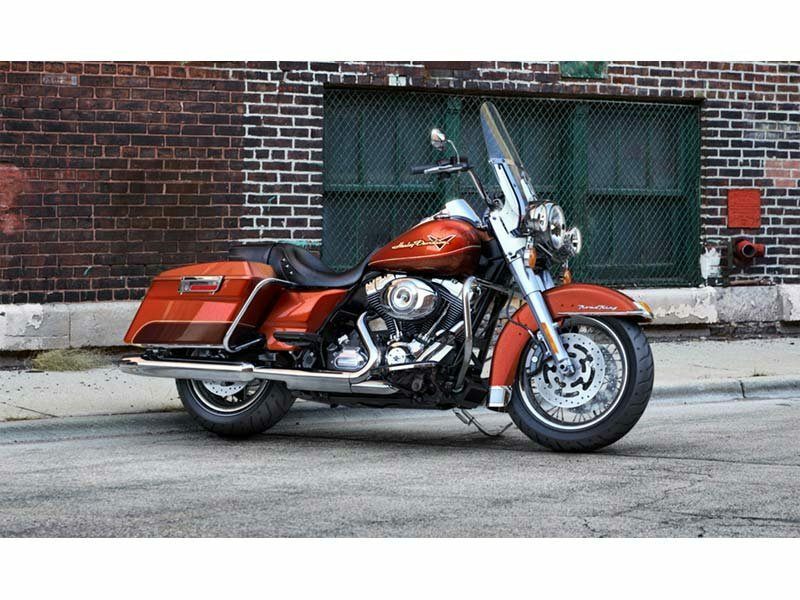 Big and commanding, the Harley Road King model's headlamp hearkens back to the Big Twins of the 1960s. You get nothing less than the latest in materials and technology. Clear-lens reflector optics provides a longer distance high beam and wider low beam to light up your Harley touring experience. 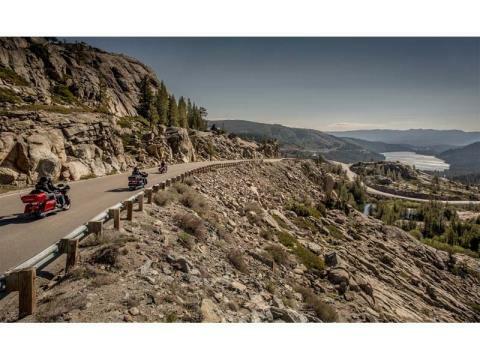 It's a bright, striking daytime lamp that blasts a little further into the night. 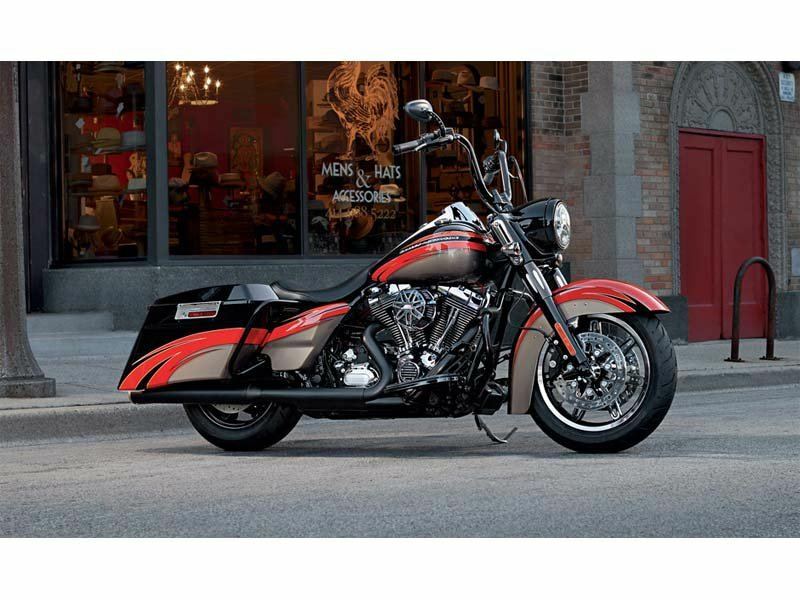 Harley has many other touring motorcycles to take a look at including ones with motorcycle luggage capacity and a unique frame-mounted Harley fairing. 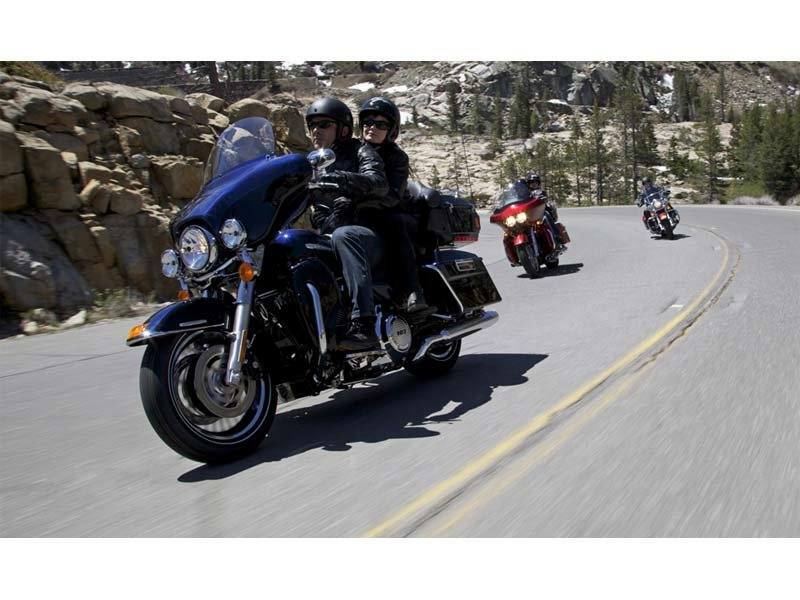 Take time to discover more motorcycle touring bikes such as the Harley Street Glide®.